Ultraviolet (UV) light kills 99.9% of harmful bacteria (see table) in Point-Of-Use (POU) filter systems and is FDA approved for disinfecting filtered water. This UV stage may be used as the last stage on POU filter systems for well water, or in towns and villages that have uncertain chlorination. 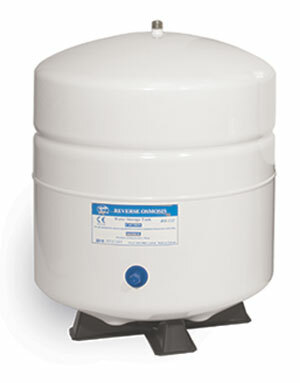 Housed in a stainless steel tube, the replaceable UV lamp stays on continuously and has a 9000 hour life (over 1 year). Water flows around the lamp and is irradiated by the ultraviolet light, killing the bacteria. 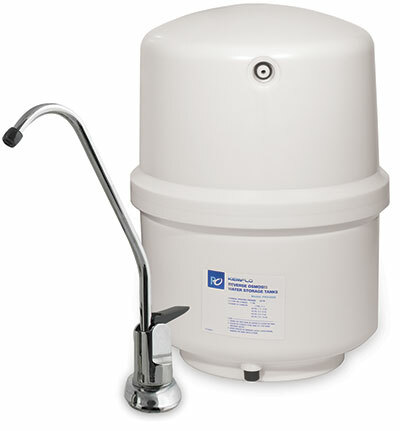 Water flow is restricted to 2 GPM to allow time for the UV light to be effective. The lamp slides into a quartz tube which is sealed from the water, making it easy to replace the lamp. 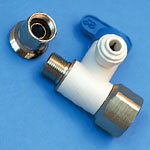 A blue color shows through the plastic flow fittings when the lamp is operating. Powered by a 14-watt transformer for standard 110-volt outlet, this UV stage is also available to add-on to existing systems. Replacement lamps are available separately. Comes with extra 3/8 tubing and 3/8 drain saddle. 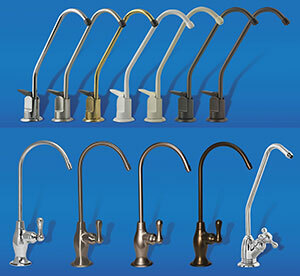 Mention faucet color/style choice at order. 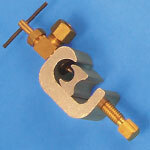 3/8″ Feed Water Adapter works with existing metal ball valve. Replaces standard adapter. 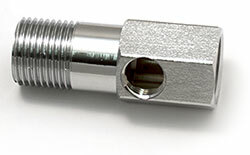 Self piercing Saddle Valve replaces 1/2″ feed water adapter and ball valve – for connecting directly to copper tubing or pipes. 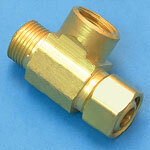 1/2″ –3/8″ convertible John Guest angle-stop adapter with built in 1/4″ valve. 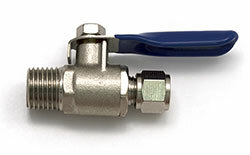 Replaces standard 1/2″ adapter and metal ballvalve. 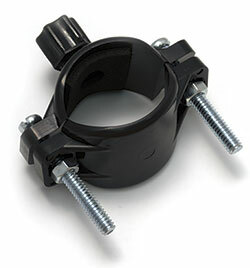 Works with angle-stop valves that have 1/2″ or 3/8″ faucet connections.